For those of you who aren't aware, hoarders are people who, to put it simply, just don't throw anything away. Marked by stacks of newspapers, obsessive collections of items they'll never use and crowded hallways full of memorabilia they can't bear to part with, the disorder has come to prominence lately thanks to TV shows like "Hoarders" and "Hoarding: Buried Alive." But in comics? 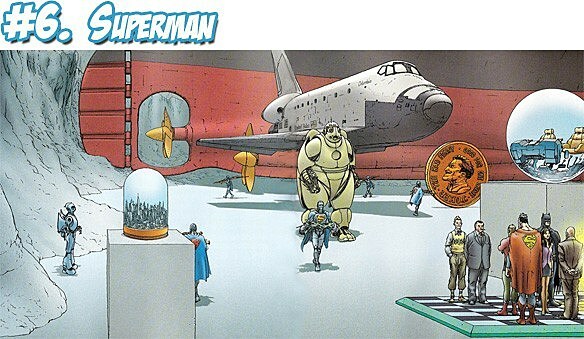 As artist Ulises Farinas shows above, we just call that "the Justice League Trophy Room." 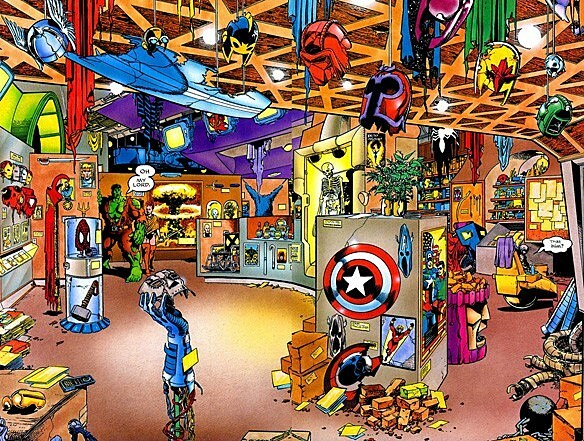 Seriously, imagine a geek's proclivity for filling their home with useless paraphernalia combined with a superheroic zeal far beyond the abilities of mortal men, and up to 75 years of never aging, and you've got the recipe for the ultimate hoarder. But who's the worst offender? I've run down a list of the seven biggest hoarders in comicswho could stand to throw some crap away once in a while! 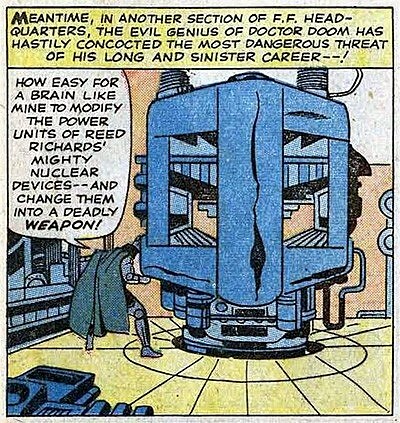 The Fantastic Four's Reed Richards has literal tons of experiments running at any given time, and while that's to be expected when you're the world's greatest super-scientific mind, there's a certain point wwhere it gets ridiculous. 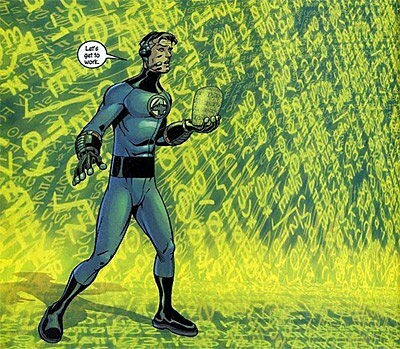 And for the record, that point is when you have a portal to the Negative Zone -- which was until recently ruled by a gigantic insect monster named Annihilus -- two floors away from where your children sleep. Seriously, stacks of newspapers are bad enough with the way they create a fire hazard, but when you've got so much science laying around that math itself comes to life and tries to kill you? It's probably time to cut back a little. ...you're going to run into a few problems. 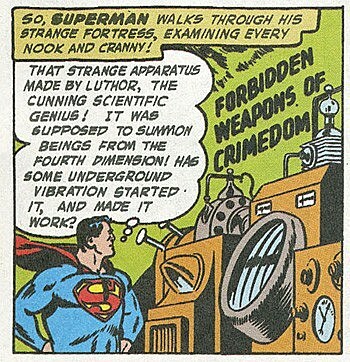 Some hoarders are marked not just by the objects they have stuffed away into their own personal Fortress of Hoarditudes, but also by the extreme lengths they'll go to to acquire them, and nobody -- nobody -- goes quite as far as Superman himself. Dumpster diving is one thing, but actual diving to the bottom of the ocean so that you can retrieve the wreckage of the Titanic and rebuild it in your living room? Sure there's nothing else you could be doing with your time there, Clark? ...but are we really ever going to use that life-sized wax replica of Perry White? How about we just go ahead and get rid of it and use that space to put down some carpet. Floors made of ice aren't helping anyone. 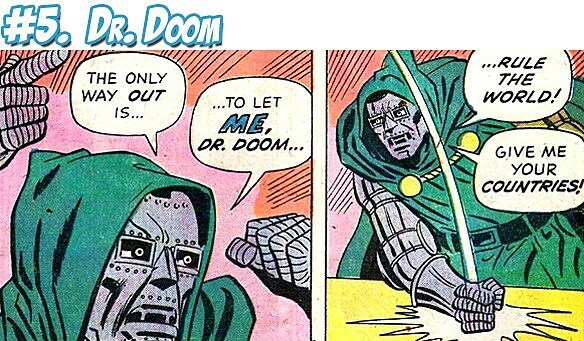 Much like Reed Richards, Dr. Doom does some pretty intense hoarding, but this dude has taken it to an entirely different level by hoarding the entire country of Latveria, complete with countless robot replicas of himself, with plans to acquire more. ...it's probably better to just go with "stockpiling." There is, as it turns out, a difference. 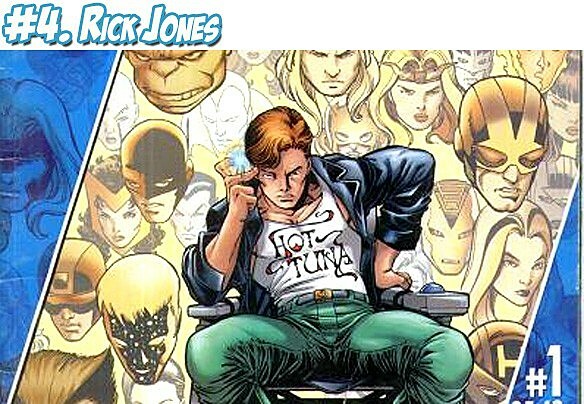 At first glance, it's pretty easy to call Rick Jones out for hoarding super-hero contacts. 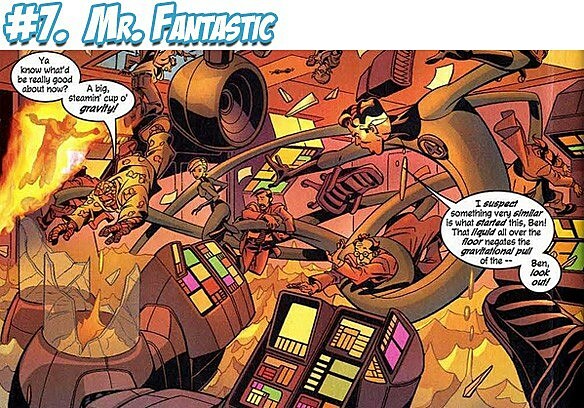 Over the course of his existence in the Marvel Universe, he's sidekicked for the Hulk, Captain Marvel, Captain America, ROM: Spaceknight and the entire Avengers team, and been singled out as the bearer of the Destiny Force, which was so complicated that even Curt and Chris won't touch it. The scene, written by Peter David with art by George Perez, has been a favorite of fans to geek out over for years, and with good reason: Rick's collection goes from morbid (chunks of the Thing's rocky skin collected in the head of a Sentinel and the Beast's skinned pelt on display) to the poignant (Captain America's shield remains pristine and indestructible) to the outright hilarious (really? Shatterstar's sword gets a place of honor? 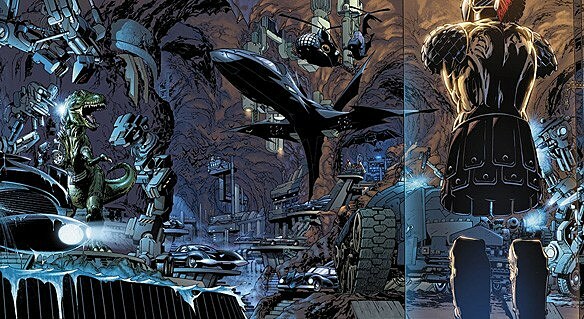 I can't wait to see the entire room devoted to Darkhawk), with plenty of trivia to go around, including a surprise appearance by the Bottle City of Kandor. My favorite bit, though, is the fact that Dr. Strange's cloak of levitation isn't actually hanging on anything. You know how every now and then you'll see an article about how someone gets arrested because they have, like, eighty cats in their house, and how absolutely horrible it sounds? Okay, imagine that, only instead of cats, it's hundreds of different animals, including a giant bee with drills for hands, a dinosaur with a tree growing out of its back, a camel made of volcanoes and... well, whatever the hell Jynx is. 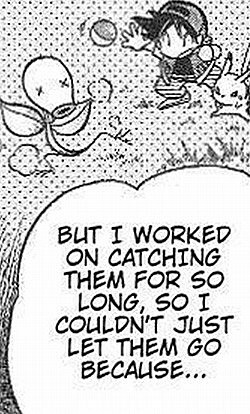 Justify it all you want, kid, but you're not doing that Bellsprout any favors by sending it to your Pokemill. 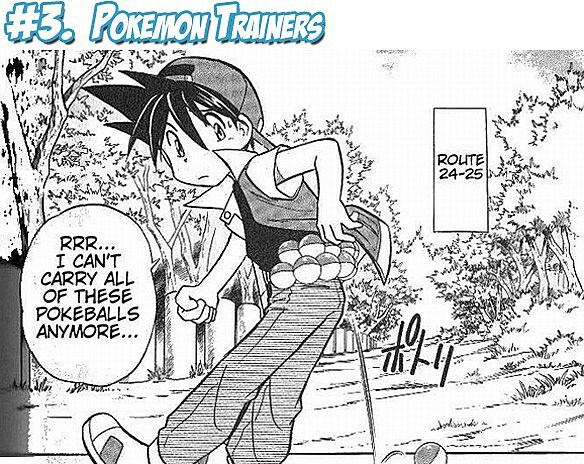 And consider this: There are currently 649 species of Pokemon, and the goal of every trainer is to catch every single one. I don't know about you, but I do not want to be the Officer Jenny who gets a call to clear out the house of the guy who actually does after he inevitably suffocates underneath a Snorlax. 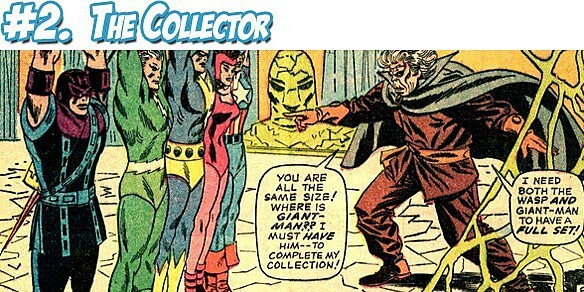 The Collector, a nigh-omnipotent space-divorcee, is pretty much exactly what it says on the label. Not only does he travel through space... you know, collecting stuff, he also totally fits the profile. After his wife gives up her immortality (which is a nice way of saying that she'd rather die than spend one more minute listening to him drone on about his stuff), he becomes obsessed with collecting -- well, anything that catches his interest, really, often to the annoyance of every other person he encounters. If this sounds familiar, rest assured that Stan Lee and Don Heck -- who created the Collector in "Avengers" #28 -- havd nothing but the utmost respect for the many fine readers of Marvel comics. 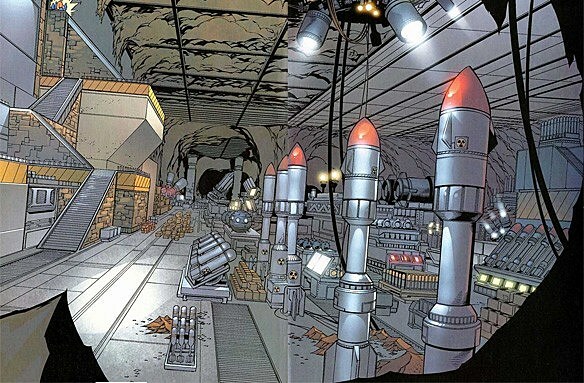 It shouldn't come as a surprise to anyone that Batman ranks as the ultimate super-hoarder. 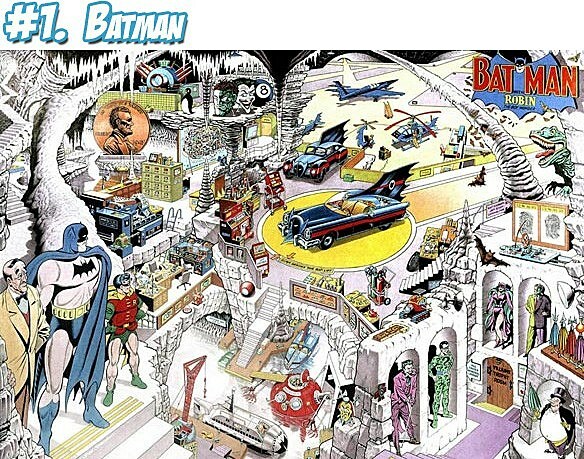 It has, after all, been pointed out on a number of occasions that since the Batcave sits below his ancestral home of Wayne Manor, he essentially lives in his parents' basement, and true to form, he's filled it up with a truly amazing amount of useless stuff. Forget about the giant penny and the playing card, he can at least write those off as evidence. Heck, you can even take away the fact that with at least four Robins, three Batgirls and a mute hunchback who used to do auto repair (yes, really), the dude is also hoarding sidekicks. But come on: how many cars does one man need to patrol a city with ten million people in it? Just let it go and get a MetroCard, Batman. It's the first step in making your Butler not want to murder you for making him dust a collection of ray-guns every morning.